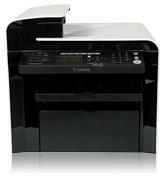 Enhancing small and home office operation, Canons imageCLASS MF4570dn provides duplex output capabilities for printing, copying and receiving faxes. Through the devices 35-sheet automatic document feeder (ADF), output is easily duplex printed for a more streamlined office workflow. The imageCLASS MF4570dn delivers large-office network capabilities in an affordable compact package. It is networkable over an Ethernet network, so everyone can easily share printing, PC faxing and scanning directly from their PC. The MF4570dn boast print and copy speeds of up to 26 pages-per-minute (ppm) for letter-sized output, and delivers Quick First Prints in approximately six seconds. The unit also offers a large paper handling of up to 250 pages in a front loading cassette. 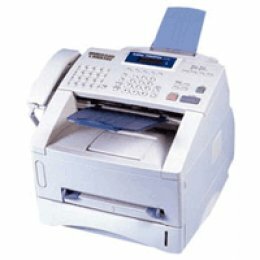 The MF4570dn gives you numerous options when copying, faxing and scanning. Transmit documents seamlessly and quickly with Super G3 Fax, reaching speeds of approximately 33.6 Kbps. Through the device's ADF or platen glass, color scan up to an enhanced resolution of 9600 dpi, with the flexibility to save in a variety of file formats. The MF4570 also incorporates the Canon Single Cartridge System, which combines the toner and drum in one easy-to-replace unit, resulting in excellent image quality retention and eliminating the complication and warehousing of separate toner and drum consumables.